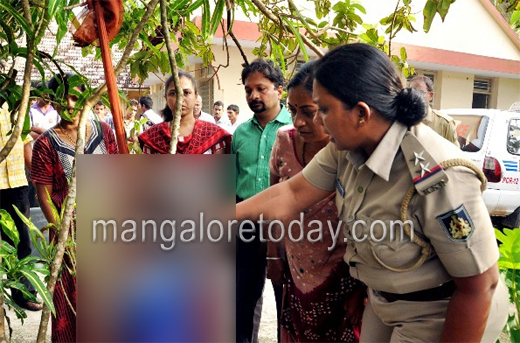 Mangalore, Sep 17, 2014: A young girl aged 20 committed suicide by hanging herself from a tree on Tuesday, September 16. The deceased has been identified Sudha (20), daughter of Chenna, hailing from Moodbidri. According to sources, Sudha was a drug addict. She was admitted to the Alcoholic Anonymous centre, a de-addiction facility in Ullal on May 20. Sudha was discharged from the center on Sunday, Sep 14. She was again brought to the de-addiction center on Tuesday. However, she was found hanging from a tree later in the vicinity of the de-addiction center. A case has been registered in Ullal police station.